Figured I'd break out my birthday present to myself (a.k.a. my new boots) for the first time this weekend for a day of shopping and eating with some friends. Paired with this handbag, I found myself perfectly accessorized with all things Chloe. those boots are SO great! you look amazing in them, I feel like any outfit and them looks incredible! Such great boots! They're amazing! 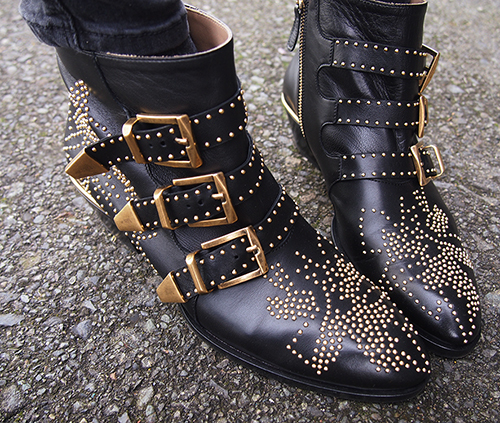 The boots are to die for! You wear them so well too. It's always nice to treat yourself for your birthday! I love this whole outfit, so cute!